What CallFire Triggers and Actions are Supported? New Text Message Received - Triggers when you receive a text in your CallFire Account. New Inbound Call Received - Triggers when any of your CallFire phone numbers receives a call. When setting up your first zap, you will need to link it to a CallFire account. This is required for both Triggers and Actions. 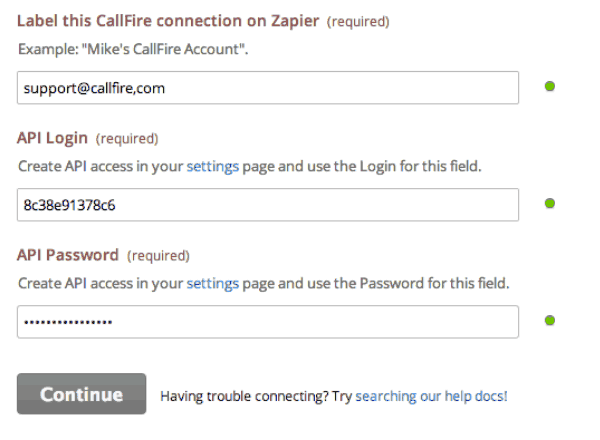 As you create your first zap, Zapier will prompt you to connect to a CallFire account. You can label your connection any way you like. The important part is to grab your CallFire API credentials. For this, you will need to log into CallFire. Over in your CallFire account, hover your mouse over your name, and click the Settings link. 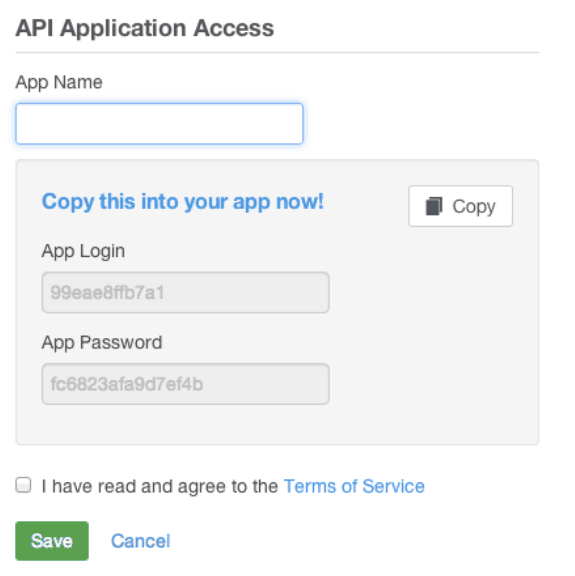 Now on the left, choose API Access. Then click the Add API Access button. Give your connection a name. You will need to enter the App login and password on the Zapier page, but it’s kind of tough to remember them. So click the Copy link that you see there, and then paste both the login and password into a plain text or Word file. Agree to the Terms of Service and click Save. Back on the Zapier site, paste the login and password you just copied from CallFire into the respective boxes, and click Continue. 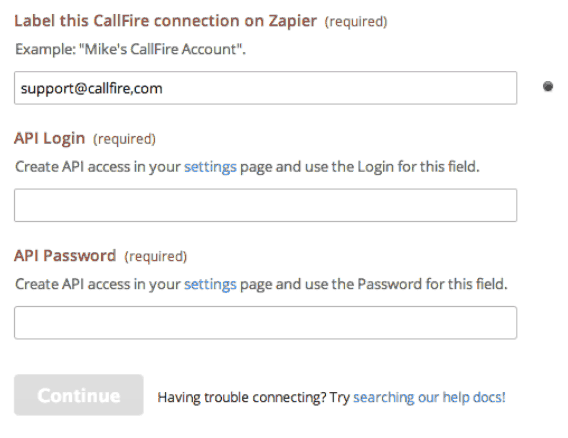 And that’s that: you have successfully integrated CallFire’s API into Zapier! Now, simply follow the few remaining steps on the Zapier site to complete and customize your zap. When a you send a message from CallFire, you cannot choose whatever number you want as the originating number. There are laws and regulations that prohibit spoofing caller IDs in that manner. However, a couple options exist. Use CallFire's shared short code, 67076, which anyone with a CallFire account can use. Short codes are particularly well suited to mass outbound messaging, or or outbound-only messages. Also, reply messages will end up in the CallFire account inbox for a few hours after a message is sent from our short code. 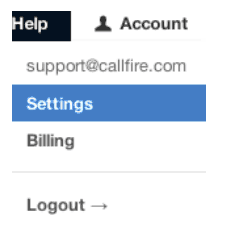 Lease a virtual number from CallFire, known as a call tracking number by visiting the Phone Numbers section of the account in CallFire and choosing a local number to lease (toll-free numbers are not text enabled). These numbers are better for one-on-one, back and forth messaging, and also can be set up to forward phone calls so when people call that number it will ring wherever it has been pointed. The trigger will only work for calls that were answered and completed. Abandoned/missed calls will not be picked up by this trigger.